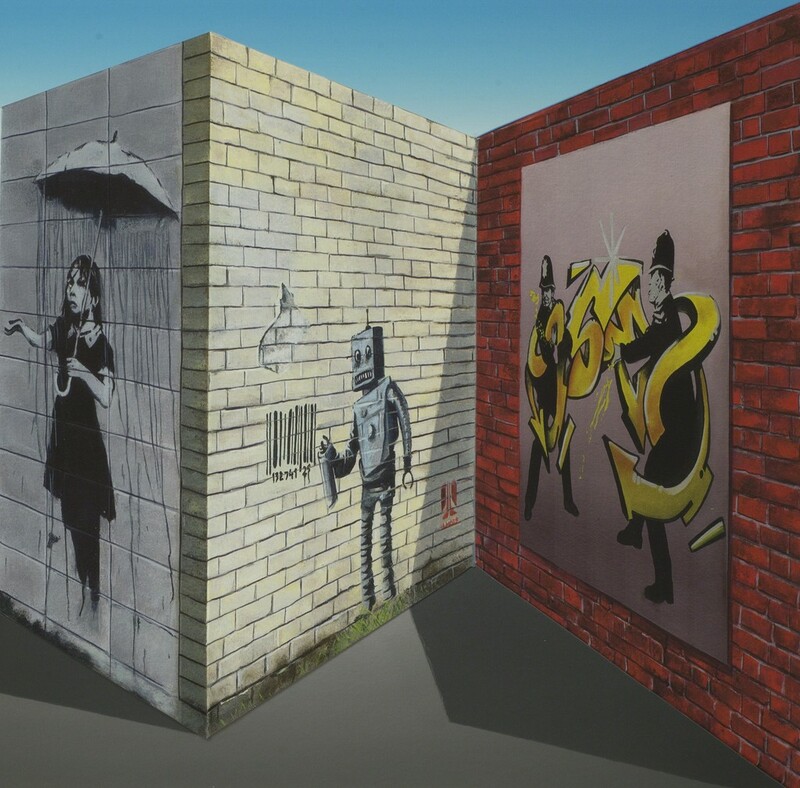 "A Banksy Perspective" Celebrates the launch of Patrick Hughes' latest 3D multiple "Banksy". Available from Oliver Clatworthy Fine Art. Please call 0207 622 9412 or email [email protected] for further details. Hughes depicts work of street artist Banksy within his latest reverspective multiple, using classic stenciled street art. Including 'Nola', 'Love is in the air', 'Girl with balloon' and finally 'Choose your weapon' a homage to Keith Haring. 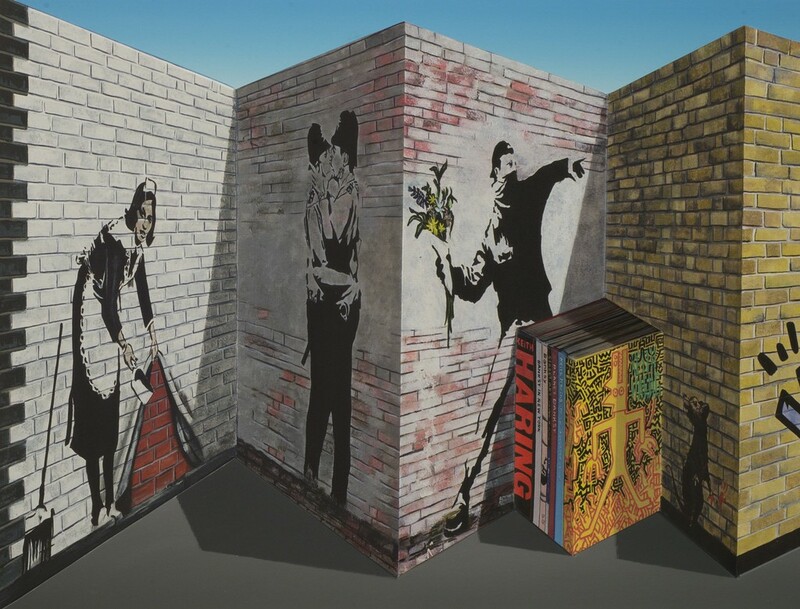 Patrick acknowledges both Banksy and Keith using a familiar feature often appearing throughout his work, an arrangement of books concerning the artists.